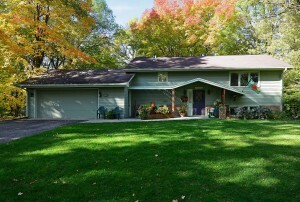 Located in Wayzata Schools with quick access to Highway 101 and US-12, 549 Central Ave N has it all. 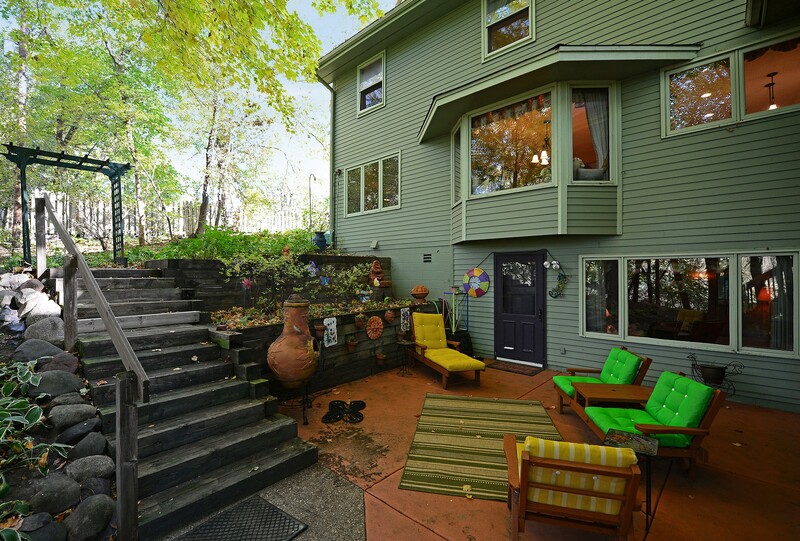 Situated on a 1.34 acre lot on a shared driveway, this 4+ split level with brick and wood compliments the well landscaped lawn with a beautiful backdrop of mature trees. Upon entering, you will notice the many levels and spacious floor plan featuring hardwood floors throughout. On the main level, enjoy the two sided brick fireplace that provides warmth to both the dining room and living room. 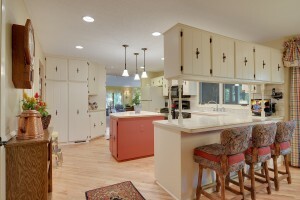 The kitchen provides ample counter and storage space along with a large window and an island. Just beyond the kitchen is the stately family room featuring vast windows, vaulted ceilings, plenty of storage, ceiling fans and many built ins. 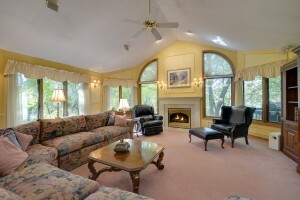 Enjoy hosting parties and entertaining guests in this large space. Additional features include a large office, laundry on main and large screened in porch with a wall of windows that overlooks the many trees. On the upper level of 549 Central Ave N, you will find all four carpeted bedrooms along with two baths. On the lower level walkout, enjoy the amusement room with a wall of built ins along with access to the large patio and views of the heavily wooded lot. Take advantage of the private entrance to the large workroom (27×25). During the winter, the home stays warm and cozy and during the summer, shady and cool. The home also features two furnaces and two air conditioners. Another fantastic feature is location! 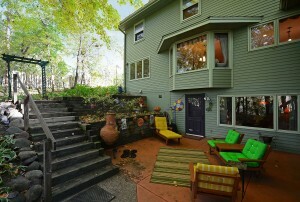 549 Central Ave N is just 4 blocks from Luce Line Trail and provides the ability to walk or bike to downtown Wayzata. With Lake Minnetonka, Gleason Lake and Big Woods Preserve all within close proximity, you will always have outdoor activities within reach.